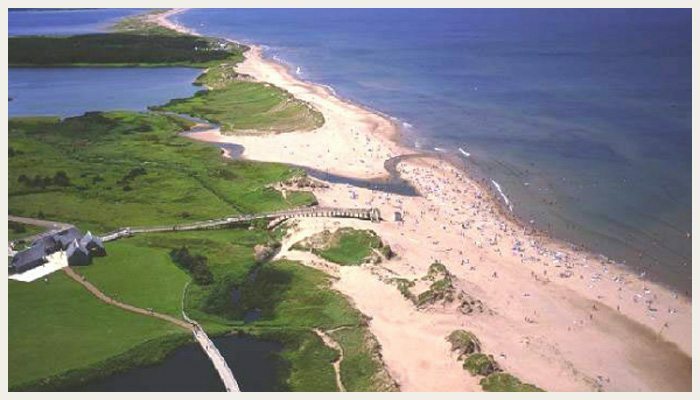 Miles of sand dunes, barrier islands, sandstone cliffs, wetlands, and forests. 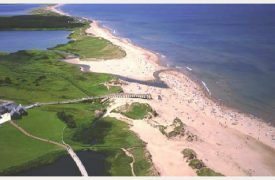 The beaches of Cavendish are part of Prince Edward Island National Park. The Park offers walking trails and fascinating interpretive programs on beach ecology, geology, evolution, wildlife, and archaeology. The road through the park leads you to a choice of many access points to the beach which offer a safe place to park and walkways to the water, with supervised beach and swimming area.